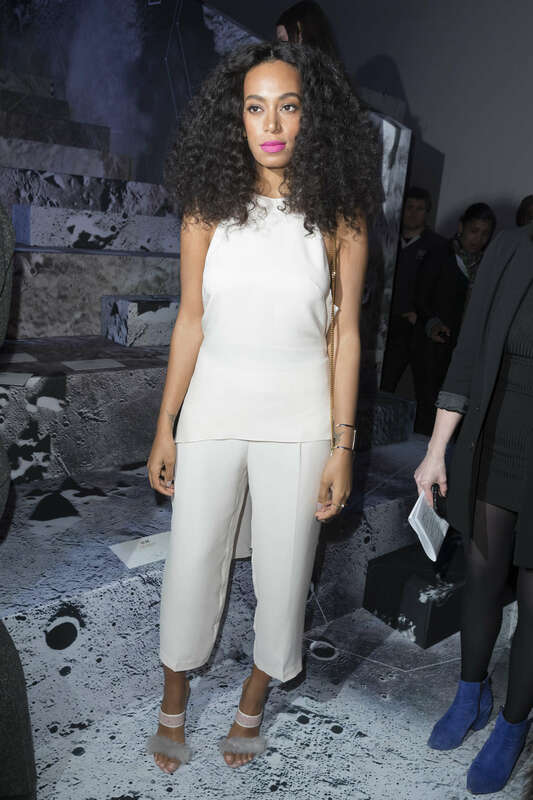 Staying on fashion week, I’m mad about Solange…can you tell?! 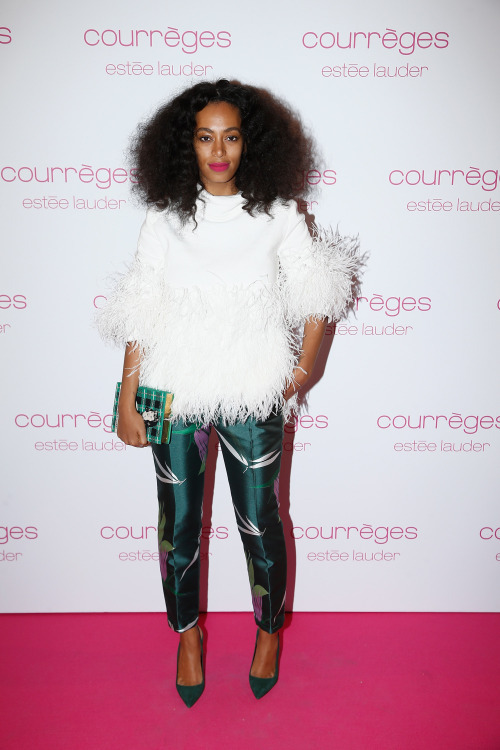 I really like how Solange takes fashion risks, something I have been trying to do. See how this fashionista took on Paris fashion week in style. This white monochromatic look is from the H&M 2015 collection that she wore while attending the show. 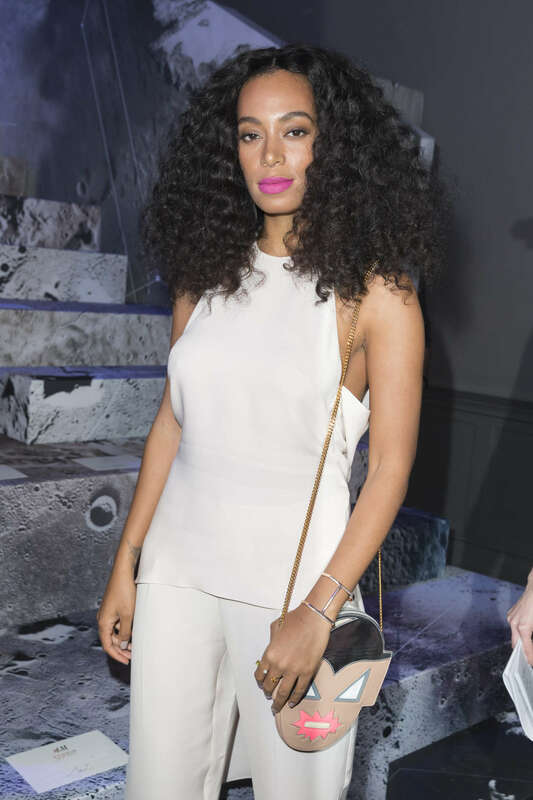 I love the wild curls and pink lipstick, all a good contrast for the sleek ensemble. 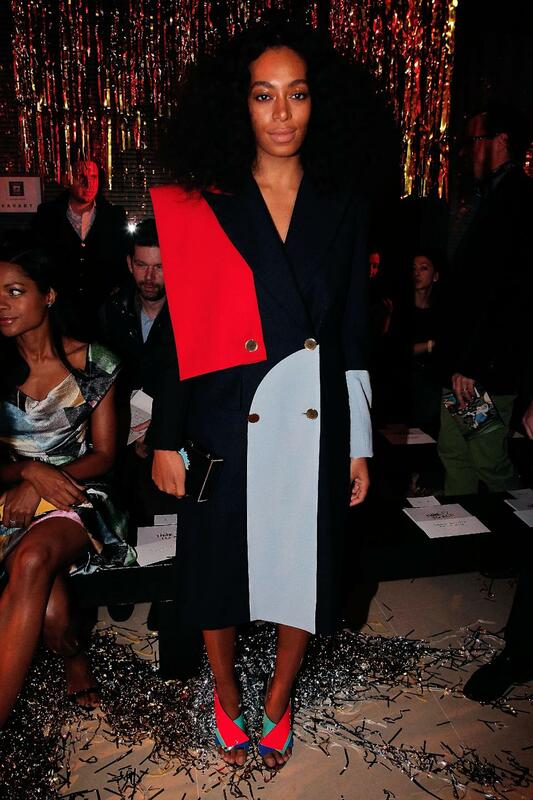 Here she is wearing a Harbison spring 2015 colorblock coat to the Vivienne Westwood show. Her coat was previously worn by big sis Beyoncé when she attended Kanye West show back in New York. In a teal dress by Lanvin with yellow fringe shoes and a teal fur coat by the brand. I like how the colors work together, including the lipstick. I wonder if its Mac, flat out fab, lol here I go again thinking I know lipstick. Just a fun look that I liked. Looks like pink lipstick was her color for the trip.